and legal professional privilege – together with the Hong Kong Mediation Ordinance. This study looks at the protection which each of the components and the Ordinance affords to the participants in mediation and the deficiencies in the same. The author argues that the justification for a specific mediation confidentiality may be found in the very nature and philosophy of mediation itself and, in particular, its distinctive empowerment of the parties and its independence from the litigation process. It is contended that, to the extent that they share these qualities, other forms of ADR should be similarly protected. 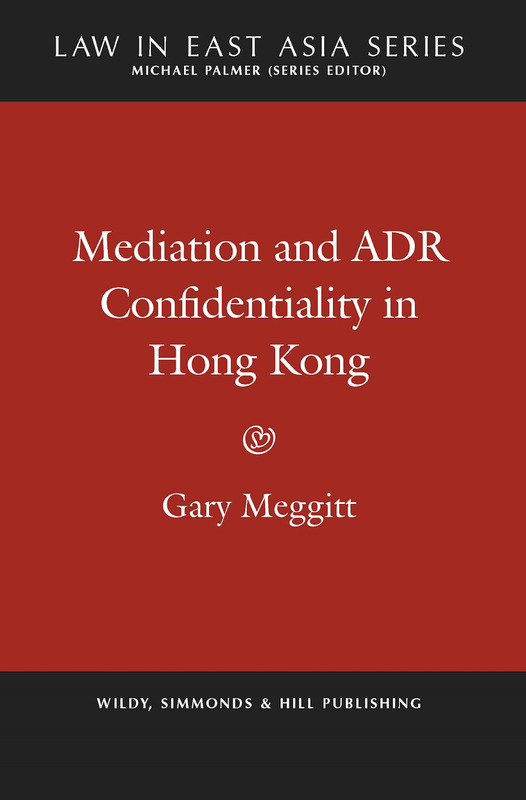 This book will interest and be useful to academics, students and legal practitioners interested in mediation and ADR in Hong Kong and elsewhere. The thesis upon which this book is based was awarded the University of Hong Kong’s prestigious Li Ka Shing Prize.